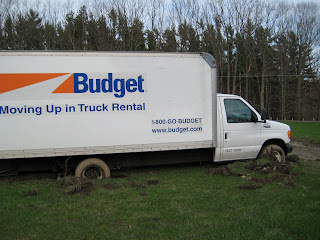 On the day they were moving my neighbor decided to back the moving van across the lawn and up to their front door. He did not stop to consider that it had rained for the last two weeks. 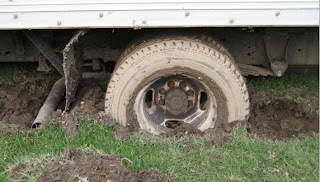 Twenty feet in he felt the rear wheels sink into the ground. Realizing he was in imminent danger of getting stuck he did what many people might do in that situation: he stepped on the gas and spun the wheels. Fast. 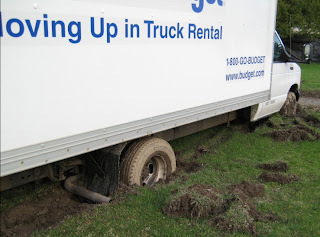 Before he knew it he was, well, up to his tailpipe in mud. This story has a happy ending. 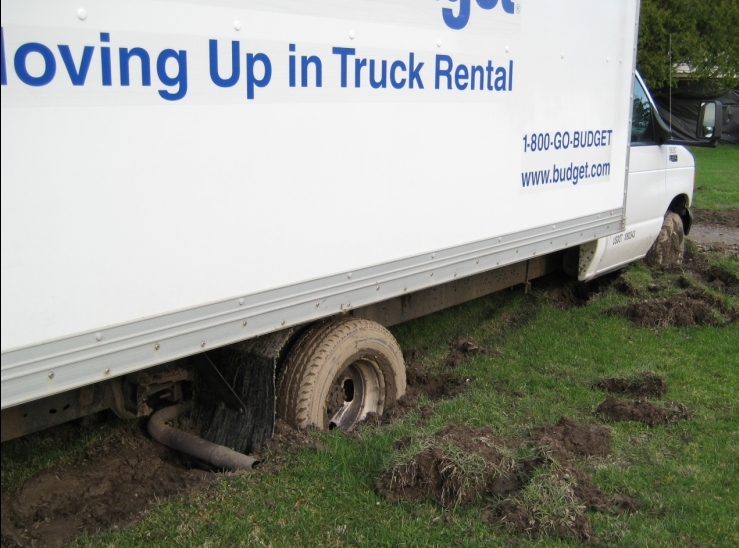 The tow truck operator and his 10-year old son did a crackerjack job of winching the moving van out of the trenches. The neighbors tumbled outside to enjoy the spectacle and catch up with each other after a long winter. At the end of the day, a good time was had by all. 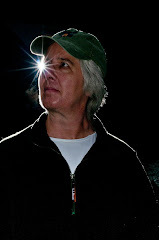 Since I became a life coach in Ithaca I have been noticing all the different ways that people get stuck in their lives. Some people get trapped in the notion that whatever they do must be perfect. For others, the voices of family and friends are so loud that they can’t hear their own voice… or if they can, they are reluctant to act in defiance of what others are telling them they should do. How many of us have found ourselves doing the same thing over and over, expecting different results? Sometimes it is hard to imagine that there might be other ways of approaching a particular problem or situation. And sometimes we just really don’t know what to do next. We may be confronted with too many options, or too few. The next step is simply not clear. As a life coach I help people get unstuck. Working together we can explore your options, expanding or evaluating them as needed. We can dig through the layers of “should” to discover what is important to you and how you want to express yourself in the world. You can redefine perfection in a way that allows you to move forward with confidence. Combining practical, down-to-earth approaches with creativity tools and techniques, I help people overcome inertia and become re-engaged in their lives. Are you ready to climb out of your rut? Are you at a turning point and need to make an important decision? Is it time to live your dream? with who you are and what you are doing, contact me. This is the season when adults who attended summer camp long ago begin to hum silly and soulful songs, reach out to old camp friends, and imagine packing our bags to head out for just one more summer lived out-of-doors. The foundation that camp provided still sustains me, forty years later. It gave me an understanding of the cycle of learning and forged my deeply rooted connection to the earth. Those of us who grew up in the Camp Fire Girl tradition progressed through three ranks: Wood Gatherer, Fire Maker, and Torch Bearer. As Wood Gatherers we acquired basic skills and information, and established a context for our future endeavors. 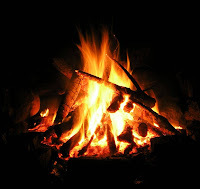 For instance, we learned how to be safe around fire, what types of fuel a fire needed, and how to organize the woodpile so that it would be easy to grab wood of the appropriate size when building and feeding the fire. The art of fire-building was practiced by the Fire Makers. We refined our skill at camp craft cookery, perfecting our one-pot meals and baking cobblers in reflector ovens. At night we warmed ourselves body and soul as we sang around our evening campfires, told stories, and listened to the trees whisper in the wind. Torch Bearers played an important role in the ceremonial and spiritual aspects of camp. Having gained the mastery of fire, we planned and prepared the council fire at the end of each camp session. Paper sacks were stuffed with sand and candles, and then set to line the procession route. Torches were created by winding mouse mattresses (shhh! sanitary napkins) around poles and dipping them in paraffin. Oh, how we used to chuckle at this! On some level we delighted in the idea of our feminine products being used for such a sacred purpose... and we clearly took joy in the burning of these contrivances that were the source of so much discomfort and dismay. As night descended, we lit our torches and led the campers to the sacred ground of the council fire ring. We come, we come to our council fire, with measured tread and slow, to light the fire of our desire…We stood at the four sides of our log cabin fire, invoked the four directions, and set the torches to the tinder. We reflected on our experiences and accomplishments, we expressed our gratitude, we laughed and we cried as our personal cycle of adventure, fun and learning for the camp season came to an end. What is the tie that binds us together, friends of the long trail? Just this – we have shared the weather, we have slumbered side by side, and friends who have camped together shall never again divide. How do you honor the sacred? How can you take your light out into the world and share it with others? As a life coach in Ithaca, I provide a safe place for people to explore their deeper self and experiment with new ways of being in the world. If you want to feel more positive about what you are doing, and move forward with greater confidence, contact me. I offer visualization techniques and creativity tools to help you tap into your intuition and inner knowing so you can see the way more clearly. This will have folks scurrying for onions, oranges, eggs, and gingerbread mix! 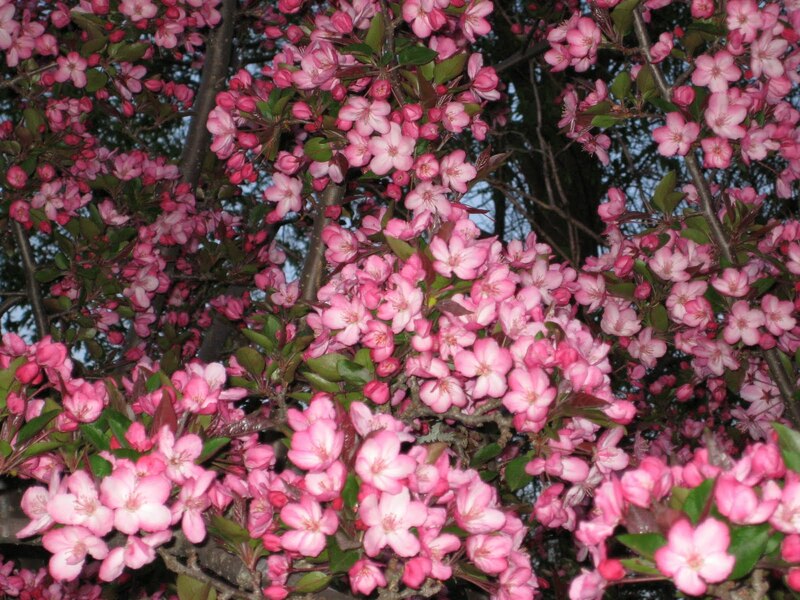 My eyes seek out, no, they hunger for, the eye-popping pinks and soft dusty rose, the creamy mauve, magenta, and rich cranberry of Ithaca's blooming trees: the magnolias, cherry and crab-apple trees, and our clusters of redbuds. These islands of color reach out and extend me a velvety caress, which I gratefully accept. Watching the petals spill from the magnolias and the squirrels chasing each other through the flowering trees, my body heaves a sigh and settles into a place of stillness and contentment. While the jumbled colors of autumn send me scurrying to the grocery store to buy a box of Trix cereal, the clouds of pink hanging against a backdrop of blue and green startle up memories of my mother's pink kitchen. There was nothing muted or subtle about the pink kitchen in my childhood home. It was a simple, obvious, and unadulterated pink, as were all the appliances. My mother did not choose this color, mind you... it came with the house, and I'm sure she took a great deal of satisfaction when, a dozen years later, she was able to give it a complete makeover in blues and greens. However, she ruled supreme in the kitchen, preparing tasty and balanced nutritious meals that were dependably served at the same hour every day. Today I wonder why I didn't run screaming from any shade of pink after living with the pink of my mother's kitchen. Instead, I cannot help but notice that my mother and I share a love of the more subtle shades of pink and coral. The understated elegance of her dusky mauve suits always gave me pleasure. And while it is certain that I shall never be appreciated for understated elegance, my own closet is filled with flannel shirts in cranberry and pink, bright pink linen pants, coral sports shirts, and peach colored sweatshirts.A half dozen baseball caps cover this color spectrum. Pieces of rose quartz litter the flat surfaces of my home. 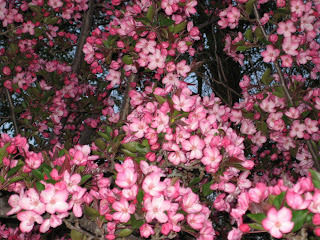 Perhaps, after all, pink is a suitable color for the heart of a family home. And maybe, just maybe, I wrap myself in pink as a reminder of the love I continue to discover long after my mother is gone.